For many organizations, an important aspect of e-learning development is to make course modules more accessible to comply with Section 508 or WCAG 2.0 guidelines. One key way to boost the accessibility of your project is to add closed captioning so people with hearing difficulties can still get all of the information offered in your course. In this post, I’ve included three ways to add closed captions to your project as well as the pros and cons of each method. And I’ve included a published example and the source file to help you visualize each method. Take a moment to explore this example and then I’ll walk you through each approach to adding closed captioning. Depending on where you place your marker on the slide, you may need to adjust the size and position of the label. Pros: A quick and easy way to add the audio text to each screen. Cons: All the text is displayed at the same time, which means learners must read through all of the text while simultaneously keeping up with what’s happening on the screen. If you keep the label small, learners will need to use the scroll bar to move through the text—which is fine if your learners use the mouse but order to meet the accessibility requirements, learners must be able to navigate through the course using the keyboard (tab key, enter key and arrow keys). So learners who navigate only with the keyboard won’t be able to read all of the text in the label because the scroll bars can’t be moved using keyboard commands. Additionally, if there’s a lot of audio, the large label size could obstruct the screen and cause learners to miss essential on-screen information beneath it. Then select Update Preview to see the change, followed by OK to save the changes. Pros: Fairly easy to set up. You have some flexibility on what you call the tab and where you display it. Cons: All the text is displayed at the same time, and if there’s a lot of text, a scroll bar appears. Similar to with markers, this doesn’t work for learners who use only the keyboard to navigate the course. Though this is the most complex of the three methods, in my opinion it produces the best result because the captions are dynamic and are displayed in sync with the audio rather than all at once. Before you begin, check out this handy post Tom Kuhlmann wrote about doing this with video clips. I’ve used a similar method here, but I’ve included a true/false variable to allow the user to turn the captioning on and a text variable to display my audio text. For each trigger, the value becomes the piece of text you want to display within the rectangle. Pros: Users can turn captions on or off. Creates a dynamic closed-captioning effect. Cons: Takes longer to create. There you have it! 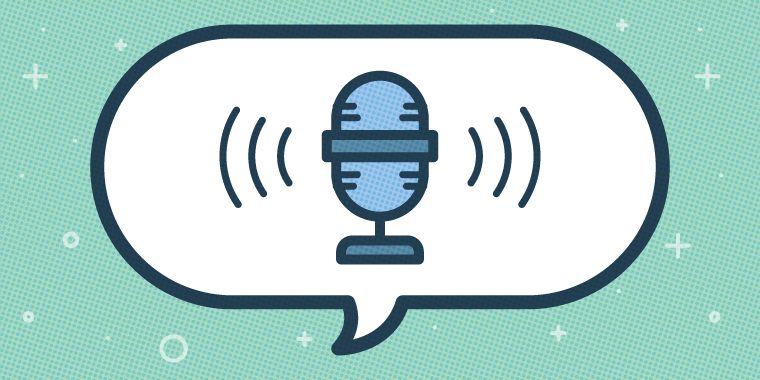 Three awesome ways to add an audio transcript to your Storyline 2 project. If you have other ways to add audio text to your project, please let me know in the comments below. Wow. This was a neat article. I never thought of using variables like that. This is great! I hadn't considered the need for captions before this article, and am so glad I saw it! If I want to put the Transcript into the Notes Panel, is it possible to hide the Panel on slides without audio? The majority of my slides don't have audio, so I don't want it visible during those. Thank you so much for your response! That was extremely helpful. Hi Breana, While you can hide the notes section, I'd suggest adding a short note like "This slide has no audio" instead. I've had users think the slide is broken or that their audio stopped working if there is no visual indicator clarifying no audio on a slide. This is a very interesting option. I use a 'factory' style approach, where my Notes contain all the information for my developers. This includes the narration script, so it's not a big stretch to be able to remove the development notes on production, leaving only the narration script for the learners to view. Hi Matthew Very good article. Like Breana, I had never considered the need for captions, but this is not a problem for me now, because the course I'm working on will not have narration. I'm using mini-scenarios like this: http://blog.cathy-moore.com/2013/07/when-do-you-need-a-branching-scenario/ Your article reminded me that there is a blind person in the team to be trained, and I don't know how I can prepare a course for her. I can record audio from the texts myself, it's not professional but it attends. But how can the sound be activated? Do you have any suggestion for this? I'm using Storyline 1. Thanks! Hi Ana, thanks for your comments. By default the audio file will play on each slide but you could place an object on each slide along with a trigger to 'Play Media' when the object is clicked. Will your team member be using a screen reader? I think she uses, but I'm not sure. Does screen reader read Storyline's slides? I don't know how this software works. Thanks Matthew! I'll test this resource. I had an issue like that in one of my projects. I wanted no video controls. When users click the video, it pauses the video, but not the timeline. This would cause any annotations to be out of sync. A simple work around it to put a shape on top of your video and change it's transparency to 100%. This will prevent the user from clicking on the video. Thanks Preston. That would work and was something I had considered doing but the users also complained about not realising there were video controls in the the player bar because I used custom built navigation buttons for everything else. You just can't please them all hey :) Might re-explore this and see if I can combine the overlay idea with a custom-built button that pauses the media and timeline. Thanks for the inspiration! Thanks for the idea Tim! Hey Kat, Videos can be tricky as the captions are synced to the timeline and what Preston and Tim suggest would be a workaround. Another option could be this: Insert your video to play automatically (and have no controls) and sync your captions to cue points. Then place a hotspot over your video (hotspot 1). Now add a layer (I'll call it Stop) and set the properties to 'Pause timeline on the base layer' Add another hotspot (hotspot 2) that covers your video along with two triggers - Hide this layer when user clicks hotspot 2 and Play media when user clicks hotspot 2. On the base layer add two triggers - Show layer Stop when the timeline starts and also show layer Stop when user clicks the hotspot 1. The reason I'd have the layer showing initially is that the user will be in control of when the video starts playing and the layer is pausing the video from playing. I hope this makes sense. Yeah I'm thinking that you wouldn't be able to use the seekbar to go back because then you'd need to find a way to make the captions go back too. With the method I described, you'd have to include some instructions to let people know to click or yes using your own buttons would work too. Scrolling panels are very useful and deep scrolling is central to webpage functionality, so it’s frustrating that they can’t be controlled using keyboard commands. Are there any plans to add this feature to Storyline? I like the variable closed captioning idea. I'm having my courses translated from English to Spanish. If the quote to record the audio in Spanish is too big for our budget, this might be a good alternative. Is there a good way to get this to work when the refresh button is clicked on the seekbar? It doesn't reset the value of the variable.